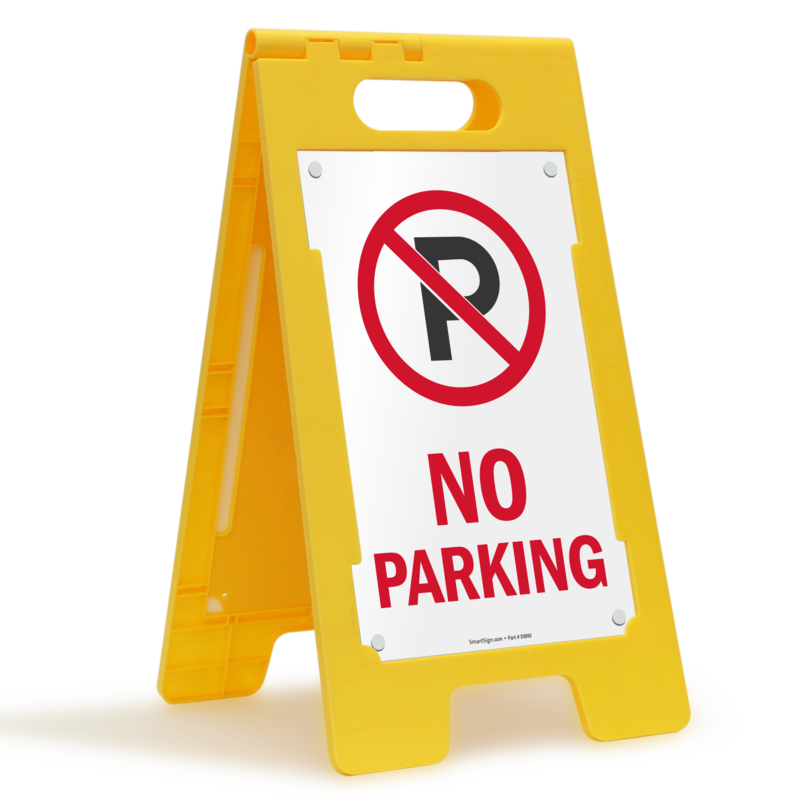 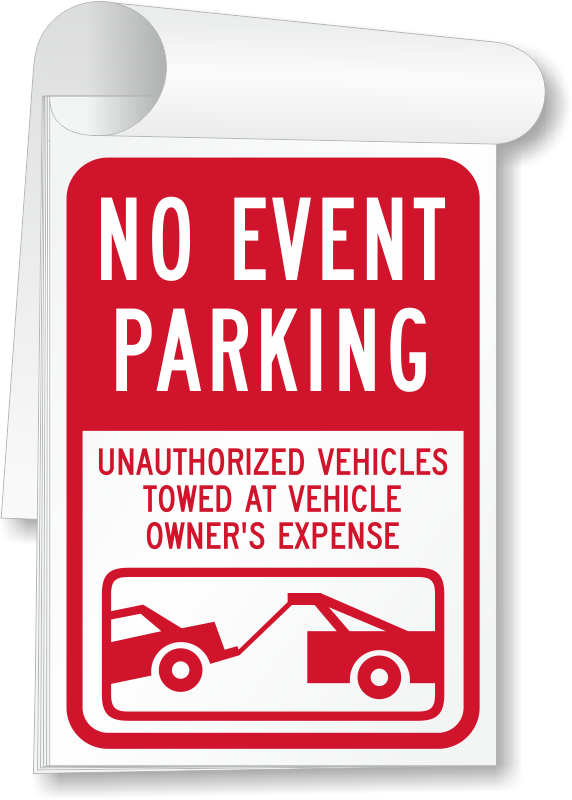 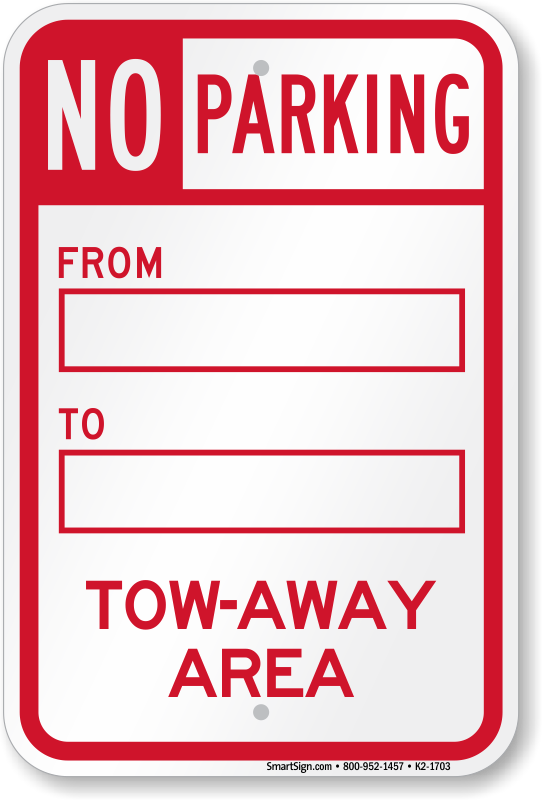 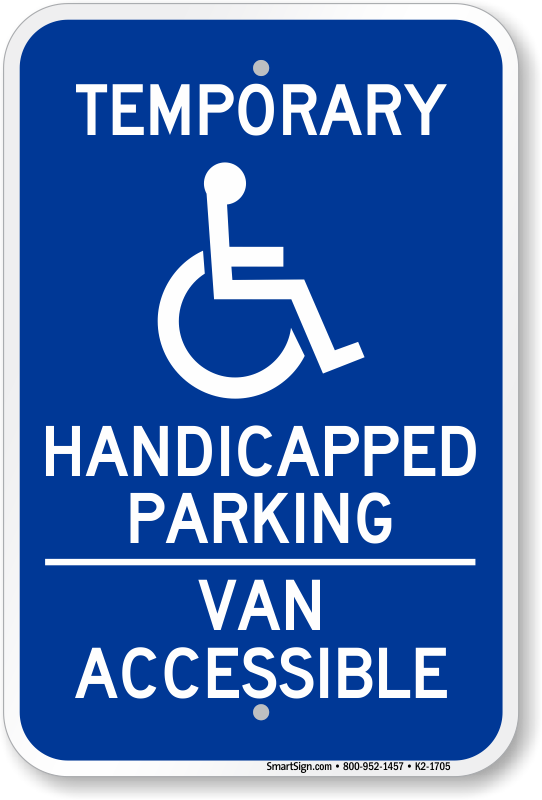 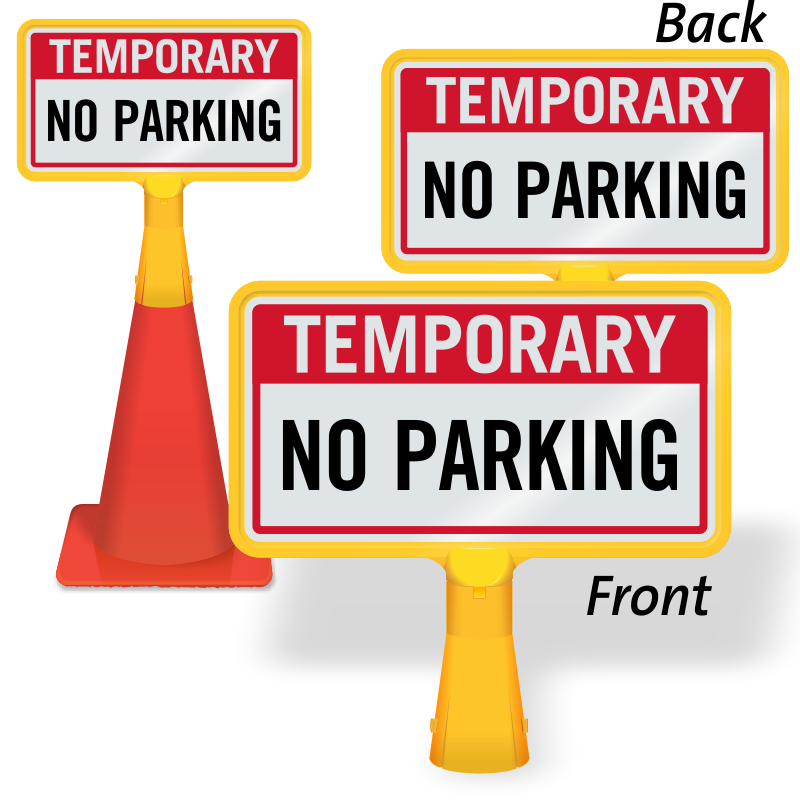 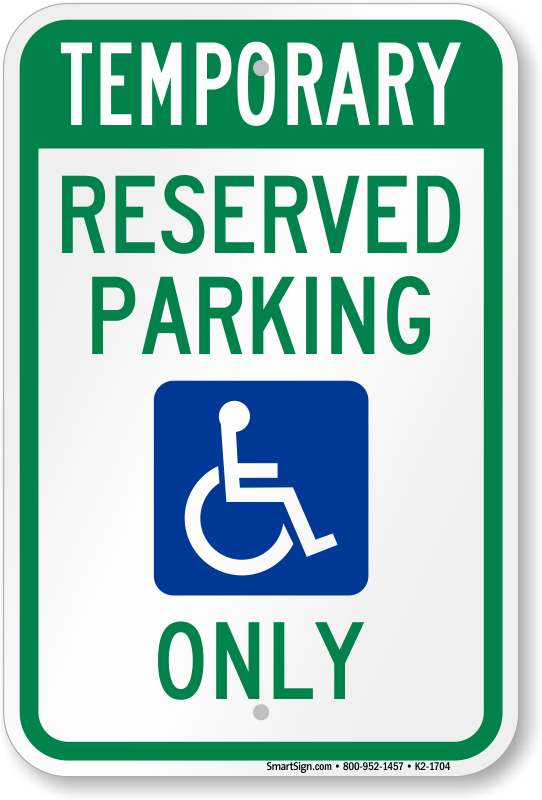 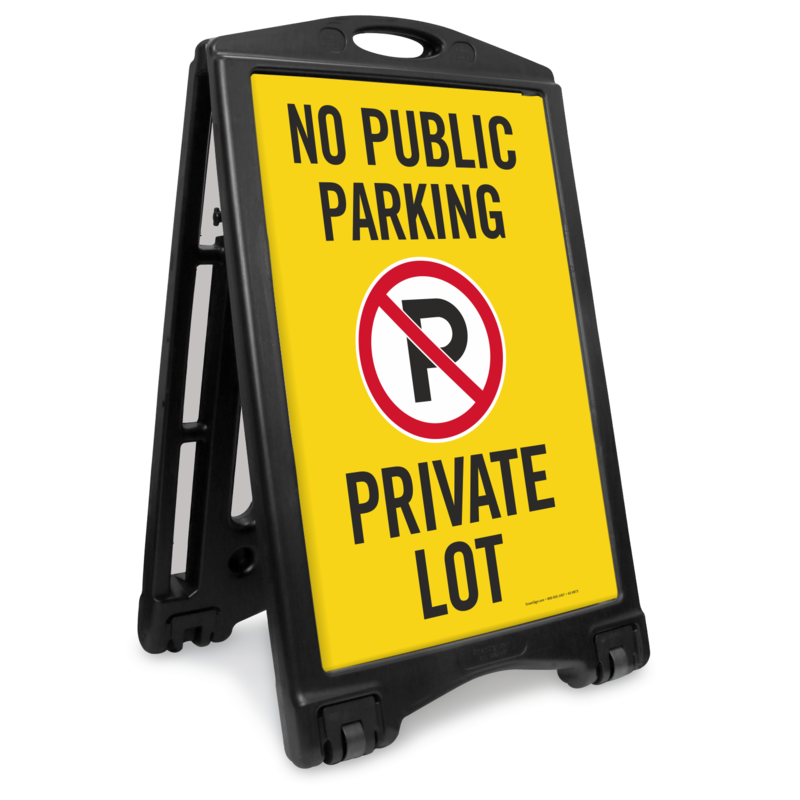 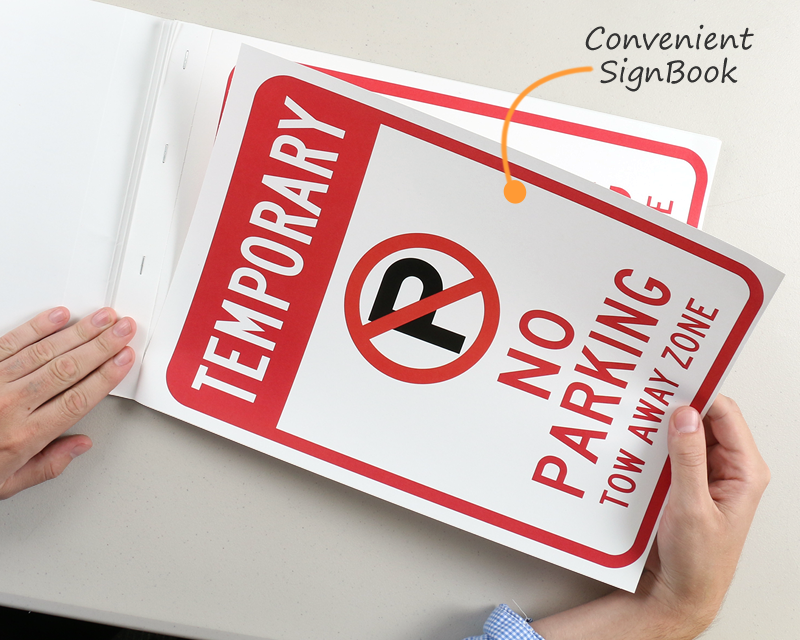 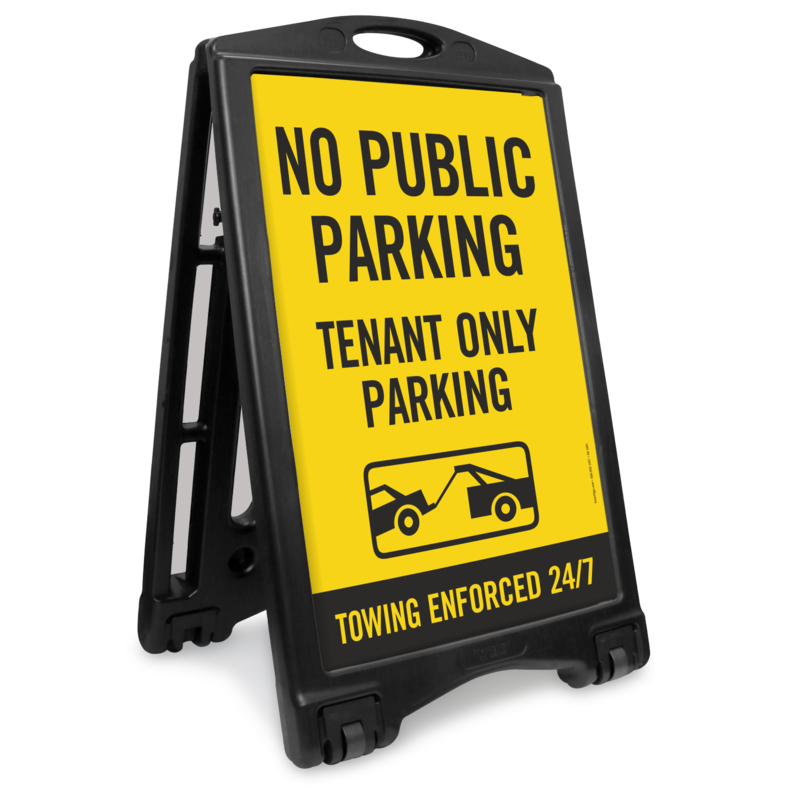 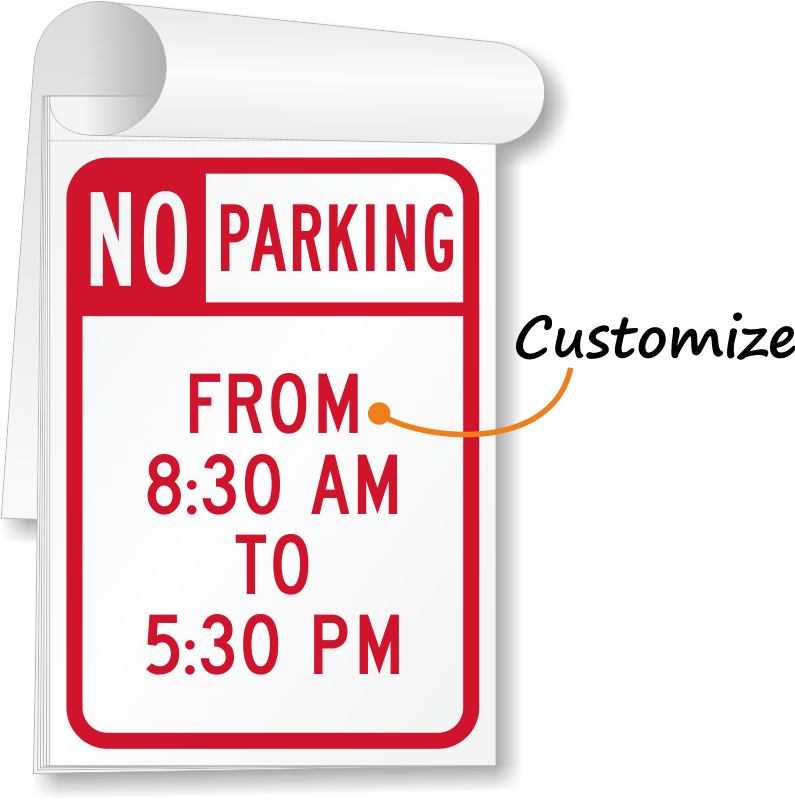 Regulate overcrowded parking lots, reserve parking spots, and mark loading zones with temporary no parking signs. 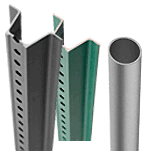 Choose from a range of sizes and durable materials. • Signs last outdoors for over 10 years. • UV-resistant plastic laminate prevents fading. 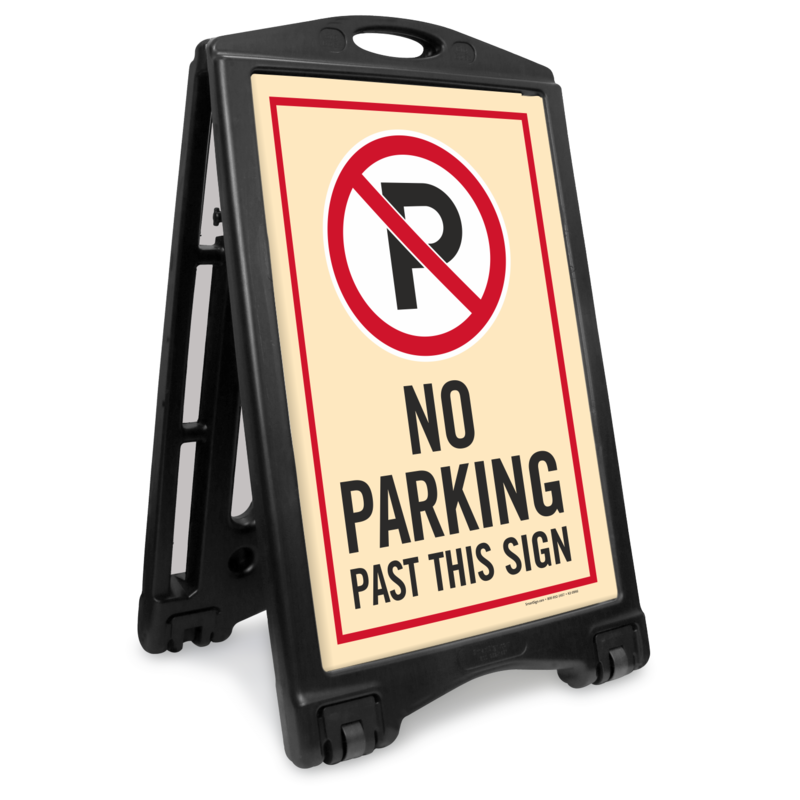 • Signs feature mounting holes for easy installation. 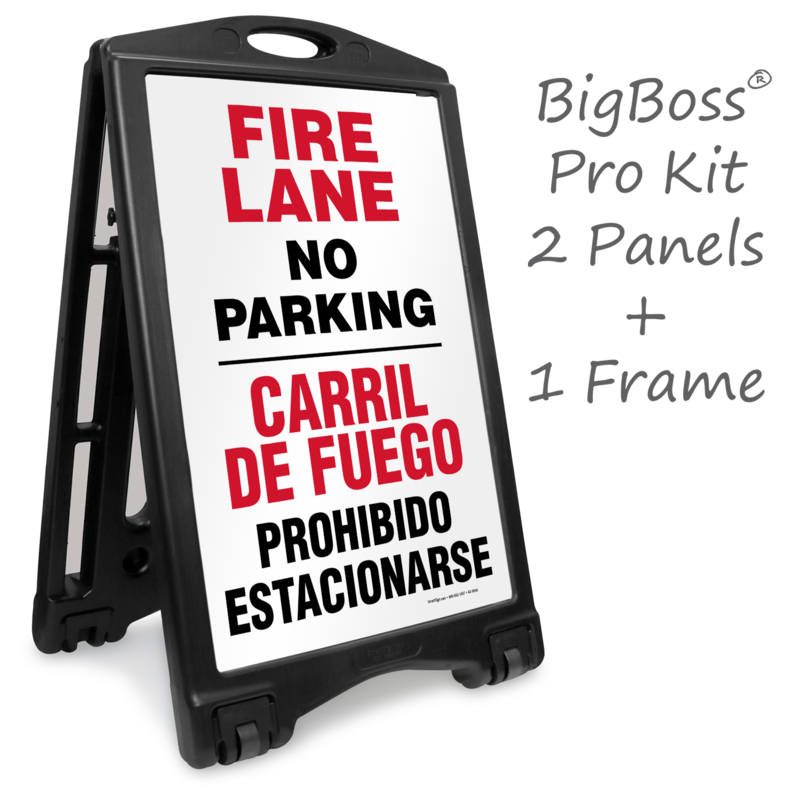 Show the way to parking with an oversized, portable sign. 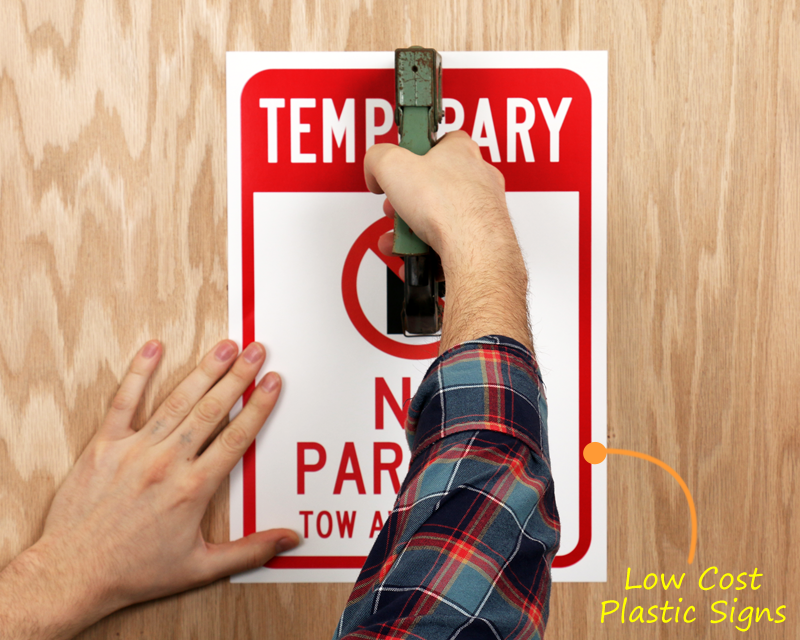 Tear out the water-resistant signs when you need them. 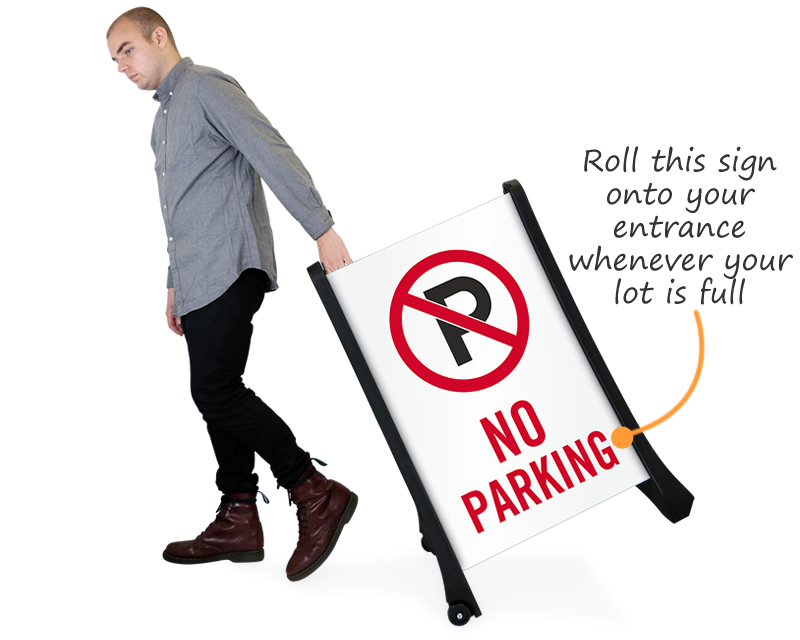 Great indoors, or you can post them temporary outdoor use. 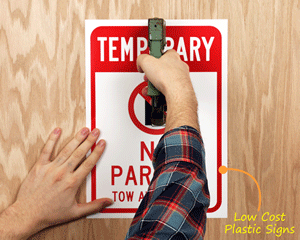 Attach with tape, staples, or nails. 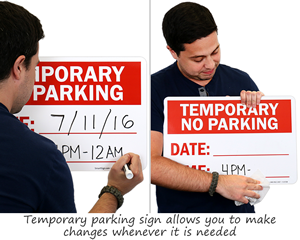 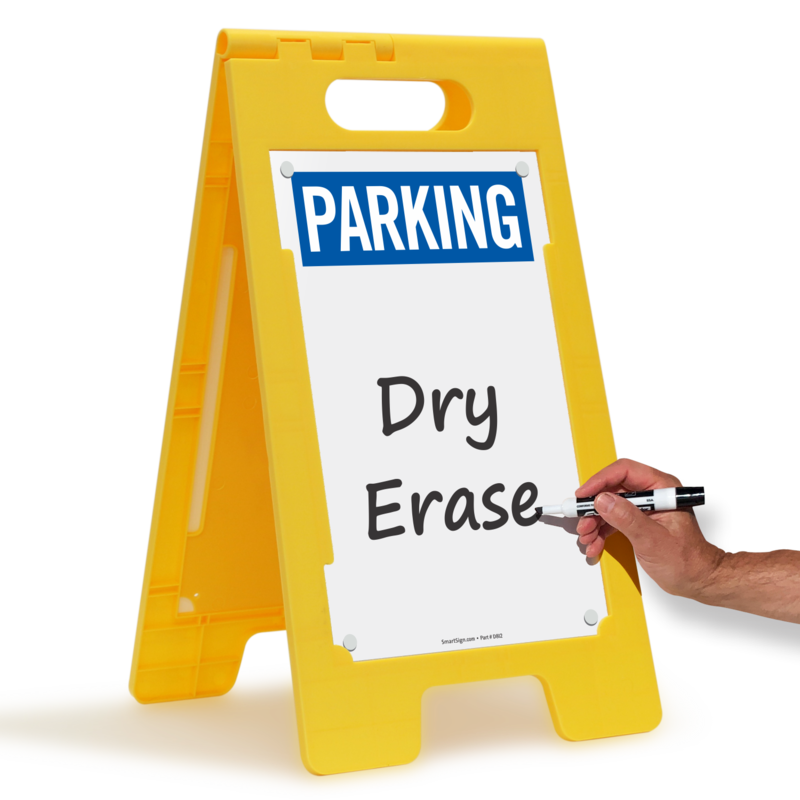 Parking - Write On The Surface With Dry Erase Pen! 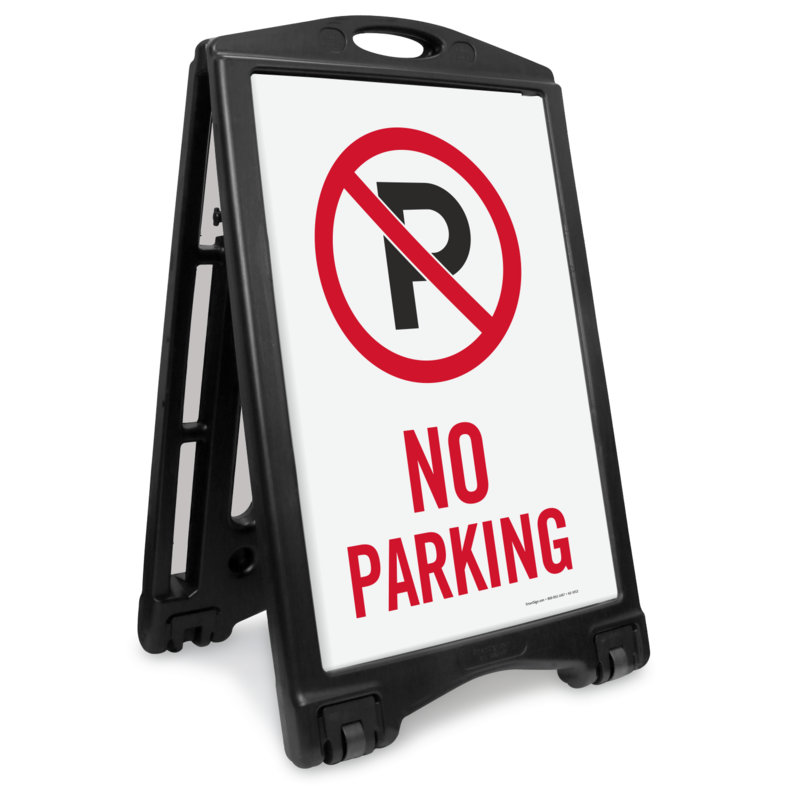 I love the sign, but it is too light. 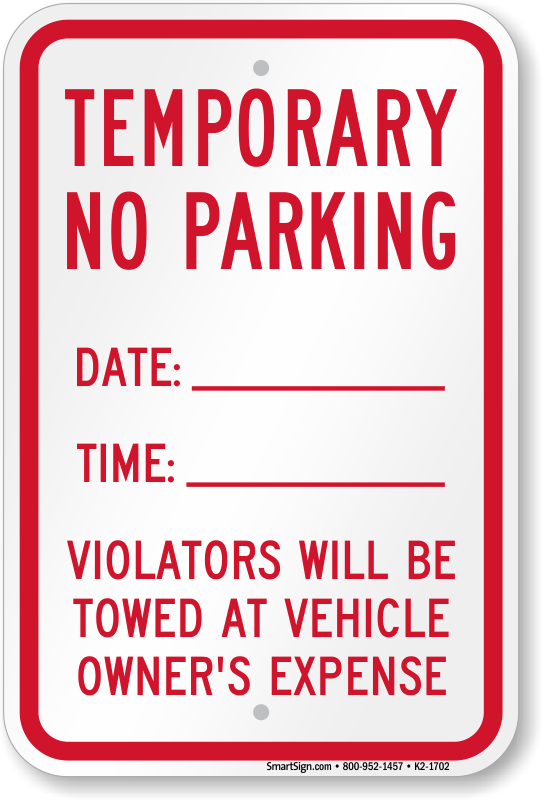 And as it says “no Parking” it is asumed it is going to stay somewhere outside... it is not stable. 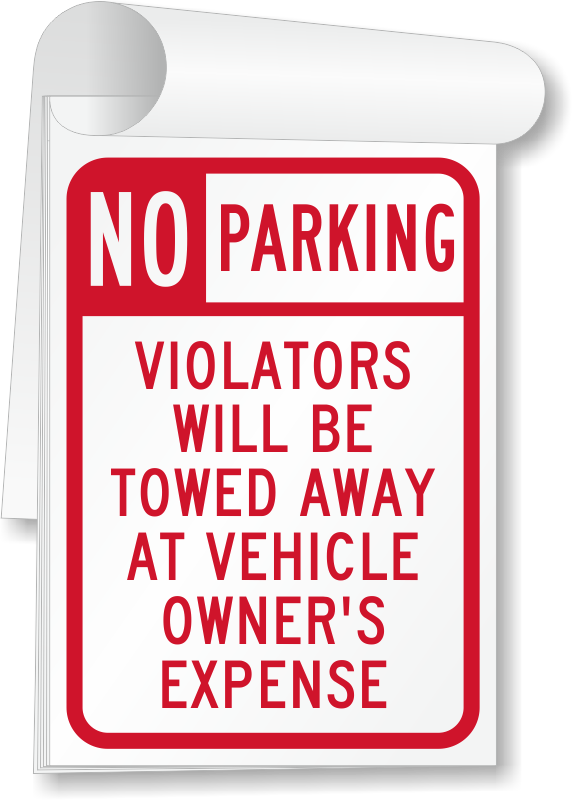 This kind of signs should be only for envlosed premises, that’s my opinion. 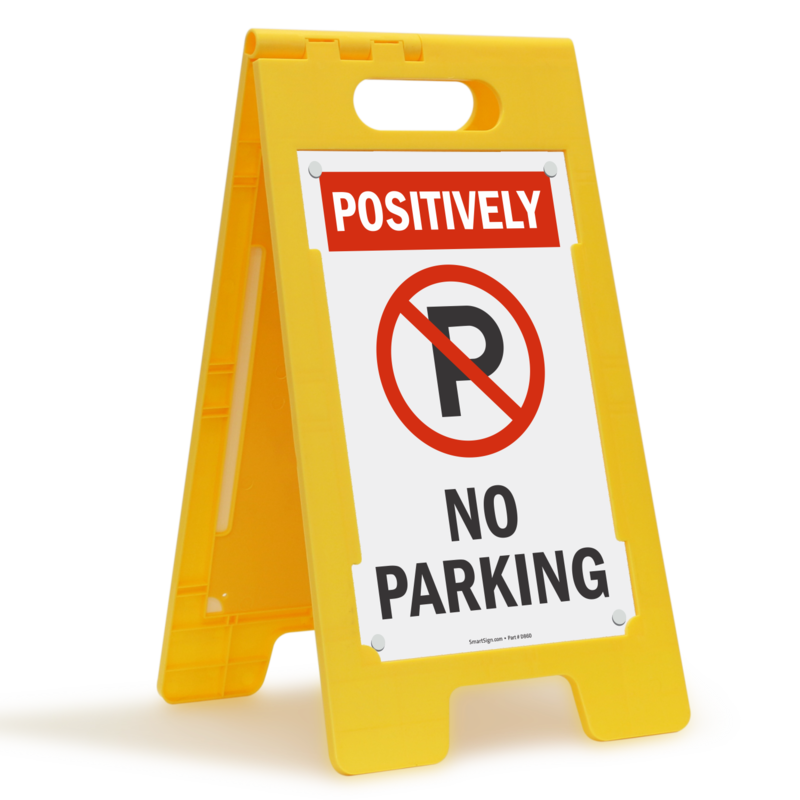 Other than that the quality is exellent. 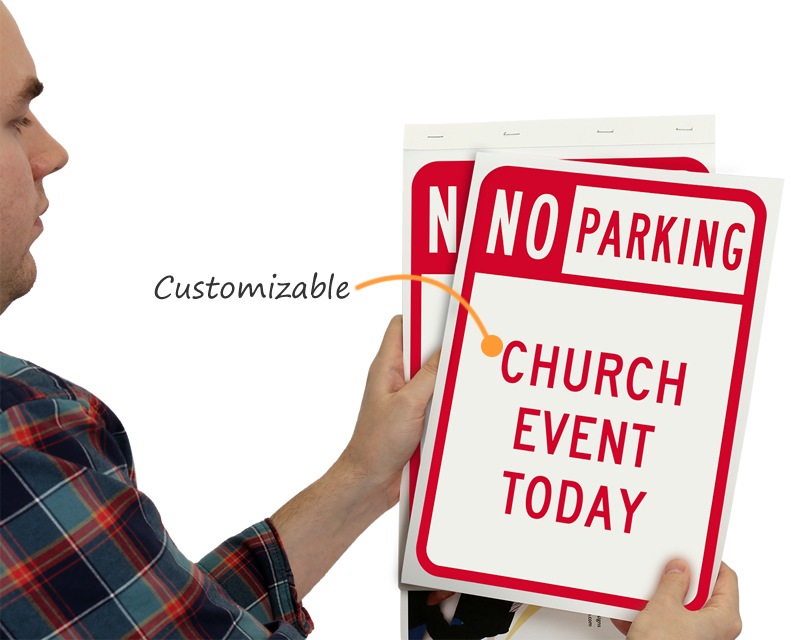 Nice signs. 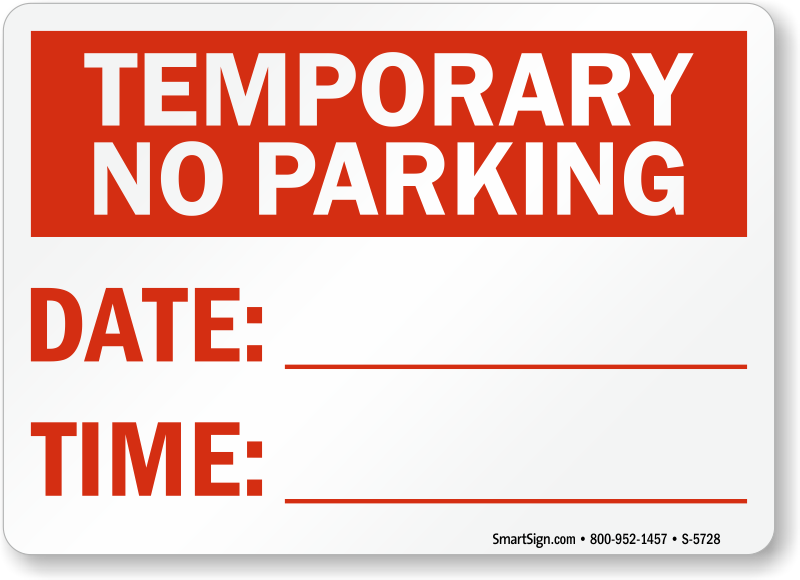 Wish they were a little heavier but they will do fine! 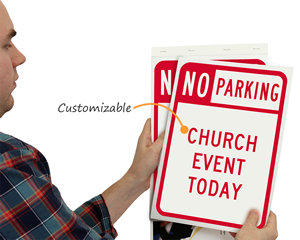 Signs arrived quickly and were exactly as I ordered them. 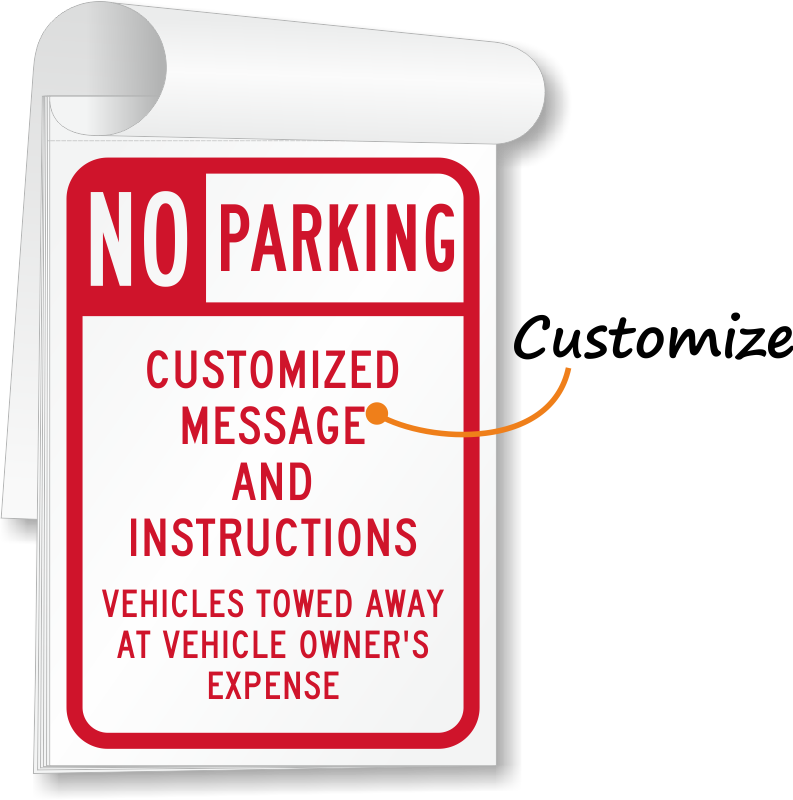 This company gives great customer service! 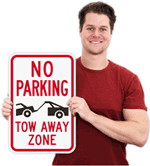 My Parking Sign is a good company! 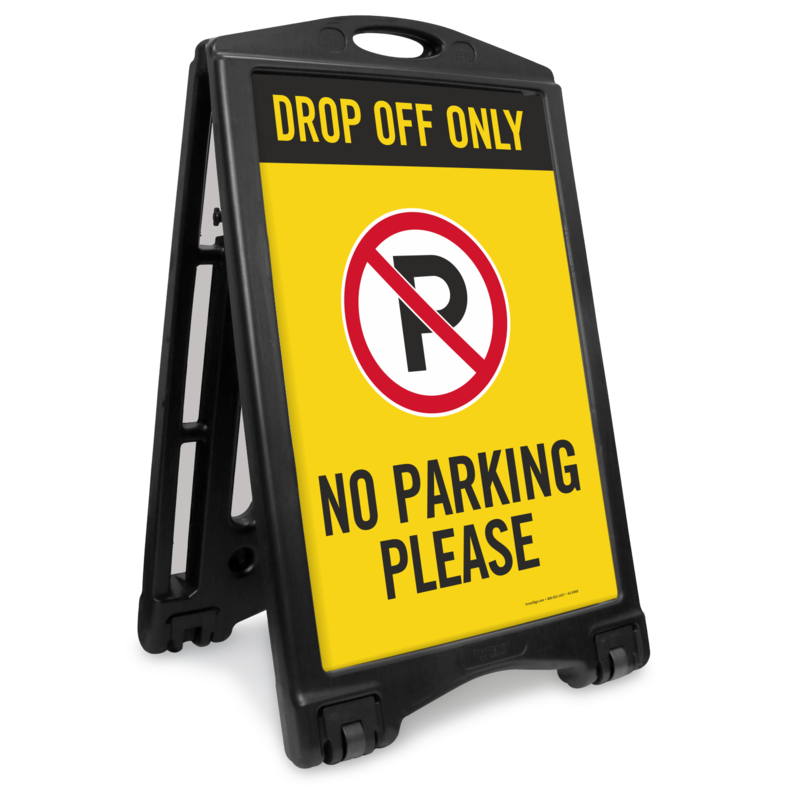 The first sign I received was delivered by UPS Ground in a battered carton and had 2 pieces missing. I phoned them and they immediately sent ahother sign, which thankfully was deliverd in perfect condition the second time around. 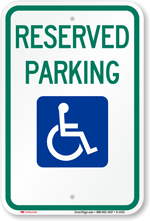 Thanks to MPS for their good customer service and follow-through!